Marco started dancing at a young age at Rockabilly events across Europe. 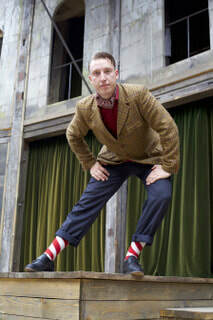 In 2007 he went to his first Swing event and fell in love with the music and the Lindy Hop. Since 2008 he travelled around Europe and abroad to dance whenever there was a chance, where he also learned a lot of the other dances you can dance to Swing music, e.g. Collegiate Shag, NOLA Swing Style, Balboa etc. In 2011 he brought Swing Patrol to Berlin and teaches since then a lot of local classes for students with different experiences all over the city and travels internationally for teaching, competing, performing and DJing. Marco adopts the philosophy that dancing should always be full of joy and you should always be having a great time.